Sunrise in Tampa Florida sure is pretty. Check out the caption on this one. 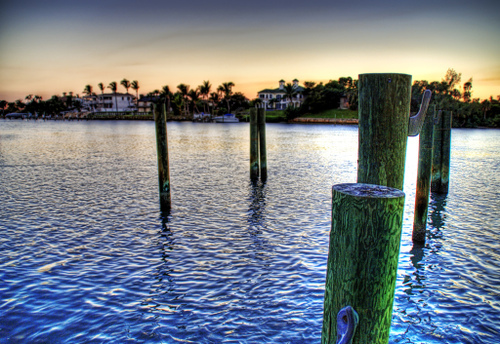 HDR at it's best, this shot comes from Jupiter Island in Palm Beach, Florida. Tigger just couldn't take it anymore, the heat, the bad food, the little girls pulling his tail, the constant photo ops; he finally lost it and apparently accosted the Monaco's son on Friday. 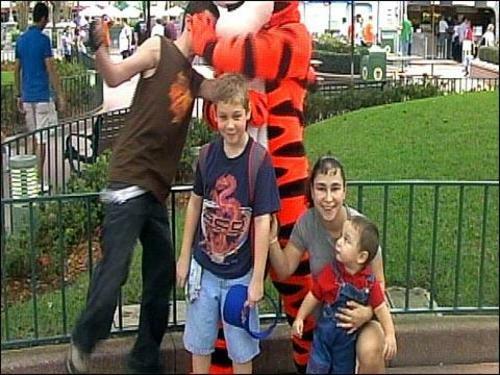 Jerry Junior was posing next to Tigger with the rest of the family when Tigger (the man in the big orange suit's name is Michael J. Fedelem) lashed out. However, Tigger's union rep. claims that Jerry Junior was pulling and choking him and that he took a swipe at the boy in an effort to escape the assault. The lawyers are already licking their chops like Pooh over a pot of honey. Related posts: Best of the Best Amusement Parks and Rides • Top 10 Labor Day Destinations • Top 10 Places to Cool Off This Weekend • Stairway to Heaven Leads to Myrtle Beach? 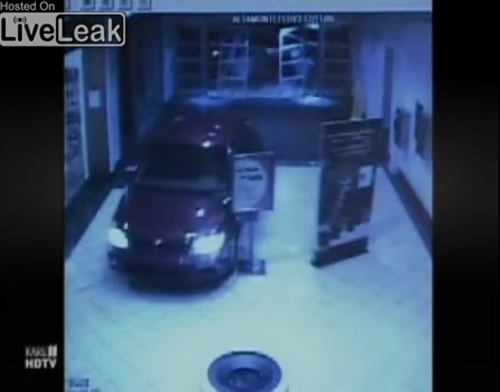 Security camera video captured a 19-year-old man crashing his car through a mall entrance, down a hallway and into a perfume kiosk. But the driver wasn't done, he then headed toward an escalator. The car clipped the railing of the escalator then dropped down one level before landing on its side. None of the workers inside the mall were injured but it only took seconds for them to emerge from stores and hallways to the scene of the crashed car. The driver was admitted to a hospital for treatment of his injuries and for psychiatric evaluation. He told police responding to the scene that he was trying to commit suicide. 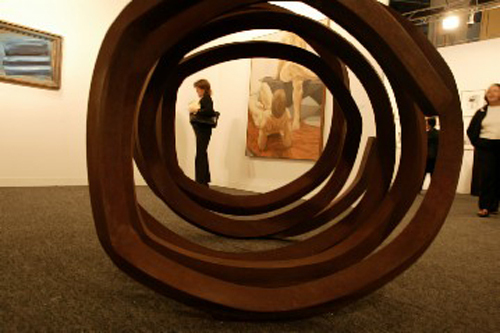 The exhibiting galleries are among the world's most respected art dealers. They will be showing exceptional works by both renowned established artists and cutting-edge newcomers. Special exhibitions will feature young galleries and video art. The show will be a vital source for discovering new developments in contemporary art and rare museum-caliber art works. Art collectors, artists, dealers, curators, critics and art enthusiasts from around the world will participate in the event. Top-quality exhibitions in the museums of South Florida and special programs for art collectors and curators, will make this art show a special place for encountering art and the art world – the favorite winter meeting place for the international art world. 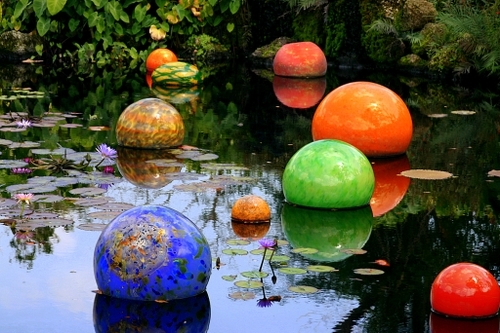 These beautiful balls are in the Fairchild Tropical Botanical Gardens in Miami. "Hey Man, What are you doing for International Talk Like a Pirate Day?" It always happens around this time of year - the high of Labor Day has worn off, and now you start your frantic search for where to get your Blackbeard on for International Talk Like a Pirate Day. ITLPD was started eleven years back by two friends, a few years later humorist Dave Barry picked up on the idea, since then it's gone international. 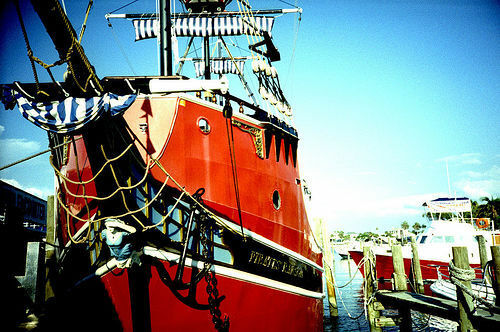 Hunt around for the man himself at Blackbeard's Lodge on Ocracoke Island in North Carolina. There's a free ferry to Blackbeard's old hangout and at Teach's Hole you can get your hands on "over 1000 items that relate to piracy." If you're more into a commercial thing then let Mickey get your back at the "Pirates of the Caribbean" ride, now with new and improved Johnny Depp - new characters and movie enhancements have been added to this classic ride. Afterward you and the fams can get right into the middle of the action at the Pirate's Dinner Adventure, there's meant to be lots of sword splay, action and vittles. Perhaps the appropriately planned (September 23rd) Portland Pirate Festival's the place for you this weekend - besides pirate music and souvenirs there'll be sword fights, cannon firings and plenty of reason to still talk like a pirate. 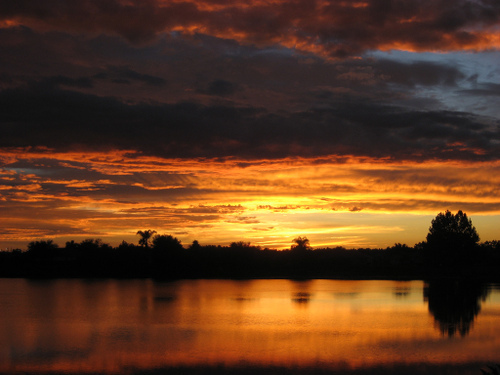 You can experience nature afresh on the St. Johns River and its environs in the middle of the Florida peninsula, and on the Nature Coast south of the Panhandle. Divers, don’t miss out on northern Florida’s unique caves, caverns, and sinkholes, featuring ghostly stalactites and stalagmites. You can check out the lovable manatee, which is currently enjoying a wave of public admiration and curiosity, on the St. Johns River, Crystal River, and other inland bodies of water in the region. St. Augustine and Pensacola, on opposite sides of the state, feature many witnesses to their 300-400+ year pasts. Many of these are reminders of periods of war, and of the persistent attempts of the Spanish, French, and British to gain footholds on the New World. The Spanish architecture in St. Augustine enchants, as if transporting you to a Mediterranean fishing town from the 17th and 18th centuries. Amelia Island is the southernmost island of the Sea Islands off the southeast coast. This 13 by 4-mile island has been inhabited for over 4,000 years and for half a year, in 1817, the island was a rogue pirate republic that was eventually crushed by a U.S. naval force - it was just one of the eight flags that have flown over the island.